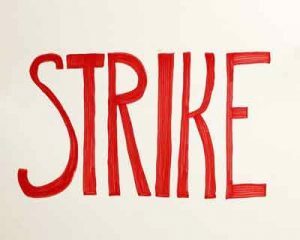 Uttarakhand: GMC Doon which will start functioning from this academic year seems to have hit the first bottleneck with contractual workers at its associated hospital reported on strike. Uttarakhand Purva Sainik Kalyan Nigam Limited (UPNL), the attached hospital to GMC Doon is reporting on-ground problems to the patients visiting the largest hospital in the state. All the contractual workers under the banner of Doon GMCH reportedly gathered at the administrative block of the hospital. Their protest was marked by slogan shouting. Their protest is in lieu of transferring their services from UPNL to the medical education department. The demand has been made to the State government by the 173 contractual workers here. They were earlier employed in the Hospital Management Committee (HMC) of Doon hospital and Doon women hospital. Only after the merging with Doon medical college they were transferred to UPNL. These workers have now threatened to stop IPD and emergency services from Thursday if their demands are not accepted. The registration counters were still opened by the hospital administration by deploying permanent staff. The situation at the path lab got so chaotic, that the pathologists refused to attend patients at one point of time. After 11.30 am no samples were collected after pathologist’s refusal. The situation in the radiology department was under pressure for the technicians. They were doing a dual job of conducting scans and also provided temporary cash recipes. The in-charge of MRI wing, Mahendra Bhandari implied that the department is functional normally. . The patients and their relatives are the one who are suffering the most by this strike. “After much wait at registration counter and outside the chamber of Doctor, I got to know that the blood samples are not being taken. Now I am forced to get these tests done from a private lab,’’ said Mahesh Pharswan a resident of Rani Pohkri to the Pioneer.